Prerequisite: Completion of Zen of Improv 3 or the equivalent long form experience from another comedy school. Conflict and emotional distance can work their way into one’s play over time until they become dominant choices. But what if instead of choosing conflict, we choose love instead? Making a conscious decision to appreciate and collaborate with your scene partner can take your scenework in unexpected and wonderful directions. 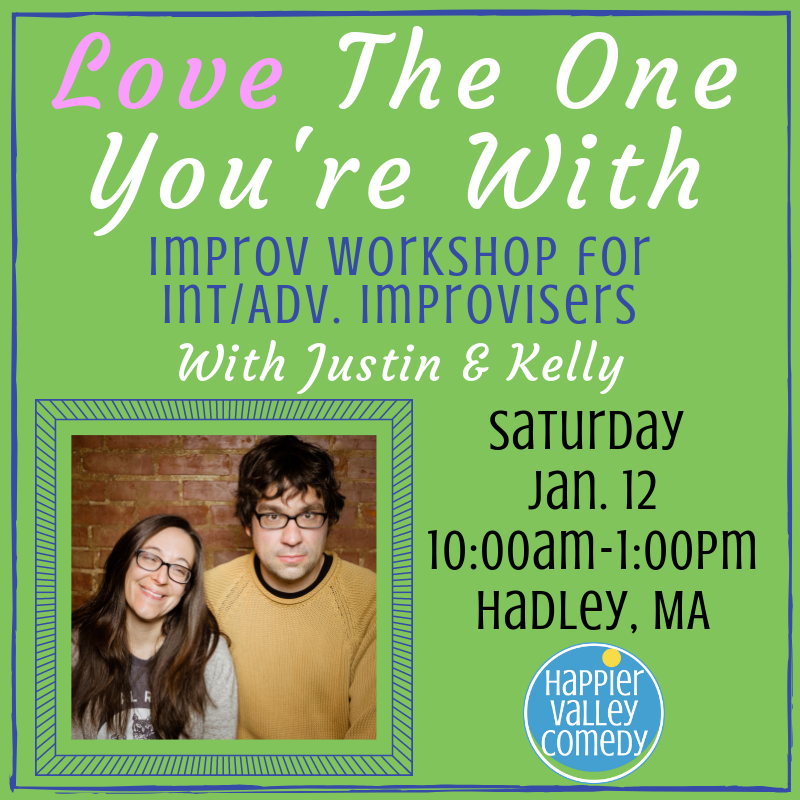 In this workshop, we will introduce techniques for finding meaningful connections with your scene partner, and explore the virtues of playing from a standpoint of total agreement. When you choose to embrace your scene partners rather than resist them, the possibilities for your scenework are truly limitless. As the duo From Justin to Kelly, they spend most of their time on tour, performing and teaching at theaters and festivals around the country; since 2014, they have performed and taught nearly 300 shows and workshops in 26 different states, the District of Columbia, Canada, and international waters. Their signature form is the Walter, a minimalistic monoscene that emphasizes silence, eye contact, and total commitment to the moment. Off stage, they promote a DIY ethos that encourages improvisers to find their own voices and own their own work. They are based in New York City, where they are the founders of Countdown Theater, a roaming pop-up comedy space. They also run the annual Countdown Improv Festival in Tampa, Florida. They spend a lot of time in the car, talking about the radio. They encourage you to love the pain.